Rococo’s in- house design studio and showroom enables our clients to not only touch and feel the quality of the product, but also help bring their project to life. 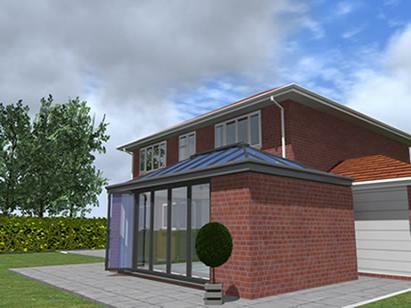 CAD, Regulations & Planning ­ we will look after your project every step of the way. Rococo’s support services show you exactly how your products will look as well as ensuring they’re built & installed on time with no fuss. 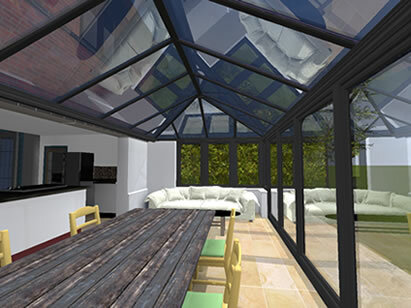 Then finally, enhanced imagery brings the whole process to life, this is the stage where the client can start making internal design and lifestyle choices. Rococo have the technical knowledge, experience and expertise to deliver your project in-line with any Building regulations that we may need. We work with a 3rd party to oversee our projects that ensure our quality and craftsmanship. Our technical team produce plans and guidelines to process your project on your behalf. Rococo will then liaise directly with the relevant council until a decision has been reached. Rococo’s surveyors, technical managers and build teams engage with a project as early as is required. Available for pre-sales site meetings and on-site project reviews, Rococo ensures projects are correctly specified and proceed on schedule. No hidden extras or unwelcome surprises, that’s a promise! Covering all types of building works and finishes, Rococo’s team look after a project until completion and don’t leave any stone unturned to deliver you an exceptional installation.